We’d love your help. 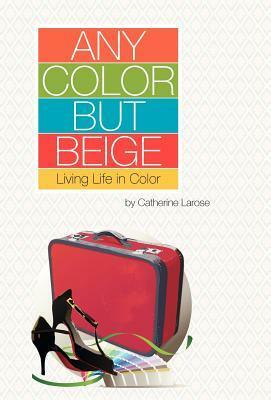 Let us know what’s wrong with this preview of Any Color But Beige by Catherine LaRose. To ask other readers questions about Any Color But Beige, please sign up. A memoir that can also be described as a collection of short stories that connect to make a larger story about the author's quest for color in her life. I loved how each chapter had a title with a clue as to what was the central point to each story/chapter and a quote that could be found within the chapter, it was like a little peak before you start reading. The reader is taken on a journey with a woman who finds love, loses love and quests to make color a central aspect in her life. I absolutely A memoir that can also be described as a collection of short stories that connect to make a larger story about the author's quest for color in her life. I loved how each chapter had a title with a clue as to what was the central point to each story/chapter and a quote that could be found within the chapter, it was like a little peak before you start reading. The reader is taken on a journey with a woman who finds love, loses love and quests to make color a central aspect in her life. I absolutely loved her constant reminder that before one can find love they must love themselves. A true theme that each woman must grasp at all times of their lives, whether in a relationship or single.